A humidifier is an important component in any indoor air quality system, providing a much–needed barrier against dry winter air and making it possible for your heating system to supply comfortable, efficient winter heating. 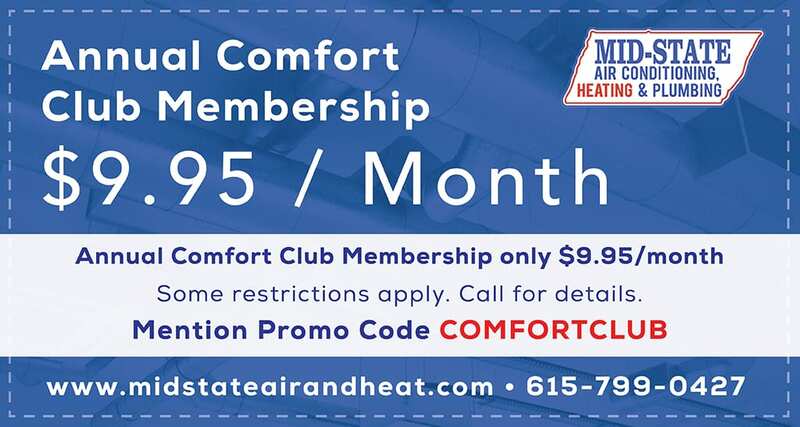 To learn more about humidifier installation services in Nashville, TN or humidifier repair and maintenance services if you already have such a system installed, call the experts at Mid–State Air Conditioning, Heating & Plumbing today. Humidifiers offer a number of benefits. To start, low humidity can make common winter illnesses like the cold or flu harder to recover from. By regulating humidity and ensuring it is not too dry in your home, you improve the health of every member of your family, especially those who suffer from things like asthma or seasonal allergies. You also improve the conditions for your furniture and upholstery, and problems such as dry skin are alleviated by maintaining a proper humidity level in your indoor air. The first step in having a new humidifier installed in your home is to measure the space and ensure the right system is selected based on the square footage and number of rooms that need to be humidified. We can perform such an inspection and recommend for you the right whole house humidifier to handle all of your air quality needs. Because your humidifier is connected to the plumbing, it requires regular maintenance to ensure it is working properly and that no issues develop, either with the filter or with the distribution system. 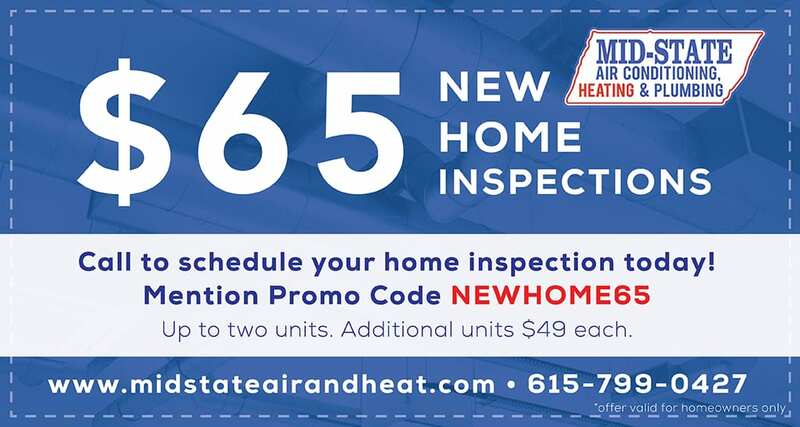 We can visit your home on an annual basis, either as part of general maintenance on your entire air quality system or as preventive maintenance on your humidifier, and ensure the system is working properly. 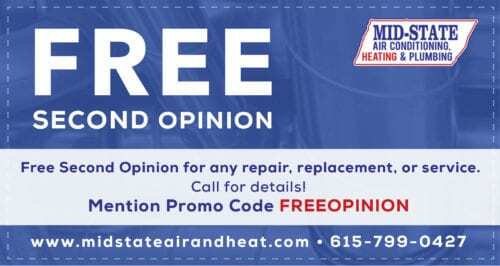 If a problem should develop, such as contamination of the humidifier, lack of humidity in your home, or another problem such as a leak, give us a call for immediate repair services. We have technicians on call 24 hours a day to perform repairs or we can schedule a routine visit to inspect your system and determine the root of the problem. 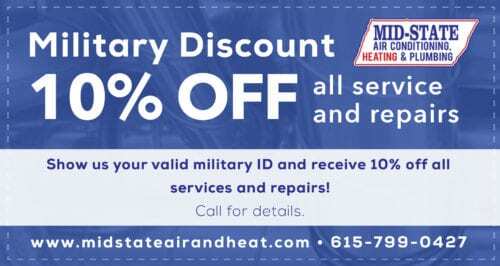 For many years, Mid–State Air Conditioning, Heating & Plumbing has offered an exceptional level of service to homeowners throughout the Nashville, TN area, installing, maintaining and repairing all major brands and types of humidifiers. To learn more about our humidifier services and the benefits they can offer to your home, call us today.